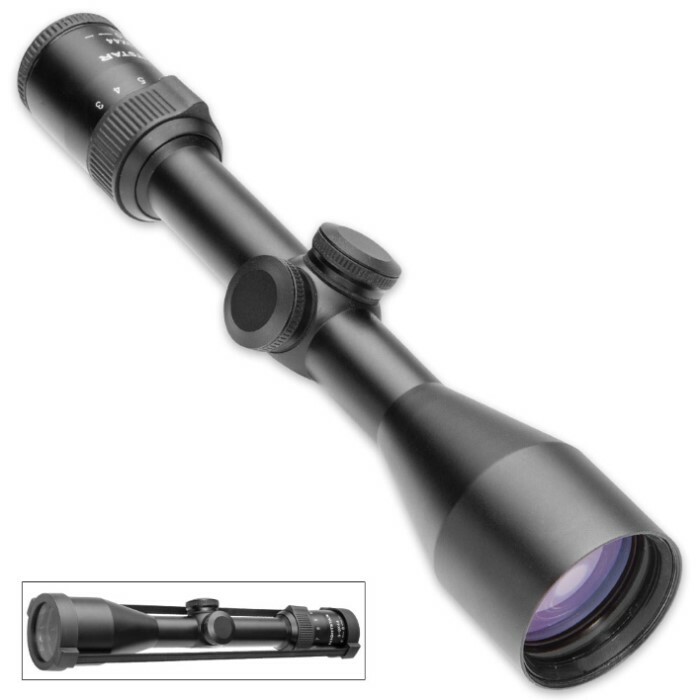 ADCO Clearfield by Nightstar Optics 3-9x44 Duplex Reticle 1-In. Riflescope | BUDK.com - Knives & Swords At The Lowest Prices! Even the finest, most expensive rifle is useless if it can’t hit its mark, but thankfully the ADCO Clearfield 3-9x44 Duplex Reticle 1” Riflescope makes aiming a breeze, whether hunting for wild game or simply impressing your friends with your target-shooting abilities. 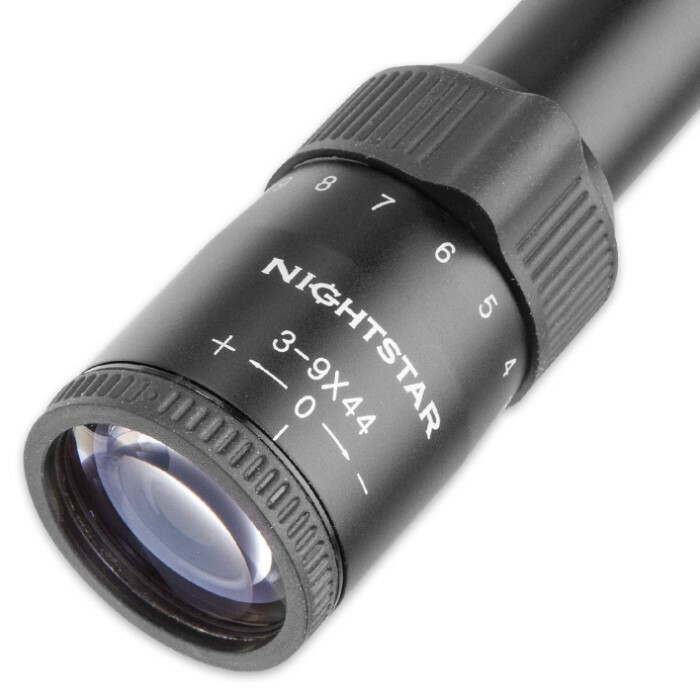 If your favorite hunting grounds include soggy swamps, craggy mountain peaks or other extreme locales with challenging conditions, the Clearfield (by Nightstar Optics) scope is for you. It’s shock-resistant, waterproof and fog-proof and features a one-piece aircraft aluminum body, advanced lens coating technology, eyeguard and more. Nitrogen-charged with duplex reticle, 1/4 MOA click adjustments, a 40’ to 13’ field-of-vision at 100 yards, and more, the Clearfield is versatile enough and strong enough for most applications. Includes cleaning cloth.